Maui's Lahaina has the perfect beaches, historical sites, and a fun run of shops and restaurants—adding up to one of Hawaii's best walk-around towns. 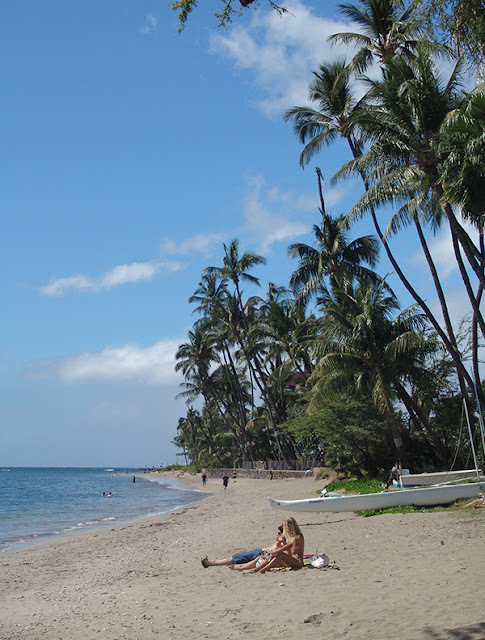 Baby Beach (above) has good snorkeling and plenty of room to drop a beach towel. 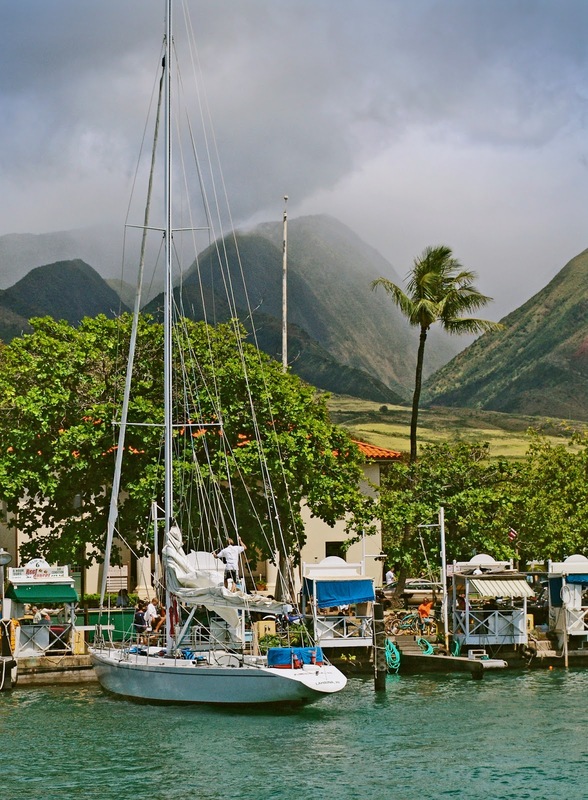 The harbor hosts pleasure yachts, fishing boats, and the ferry to the outer islands of Molokai and Lanai. 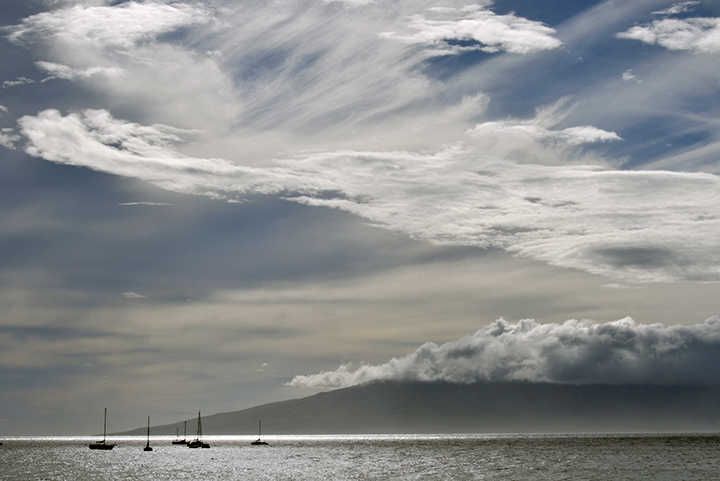 Inland are the green chasms that give Maui its nickname of the Valley Isle. 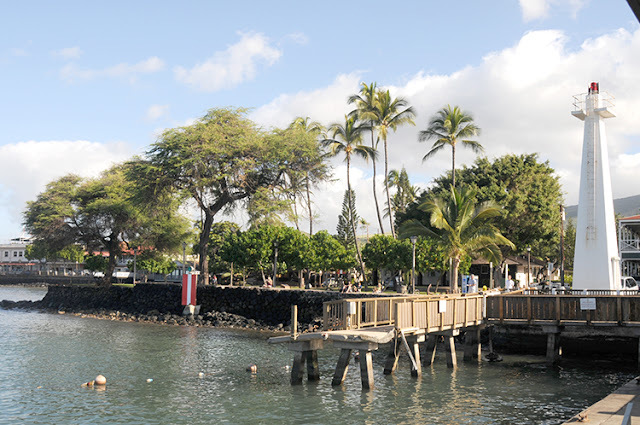 The big banyan tree (to the left of the light beacon) hosts an art fair and a zillion birds that flit around in the shade of its canopy of branches. Most of the buildings are reminders of Lahaina's racous whaling days in the late 1800s. 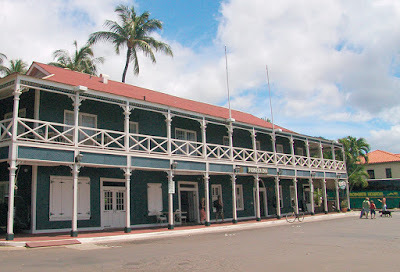 Newly arrived missionaries teamed up with local ali'i (Hawaiian royalty) to building a stone prison (now a museum) that fostered law and order. Lahaina delivers as a vacation party town, but you can always find a private moment by casting a gaze seaward toward Lanai. 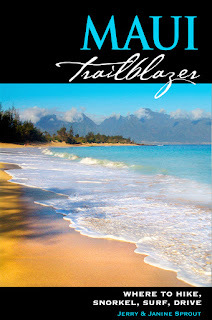 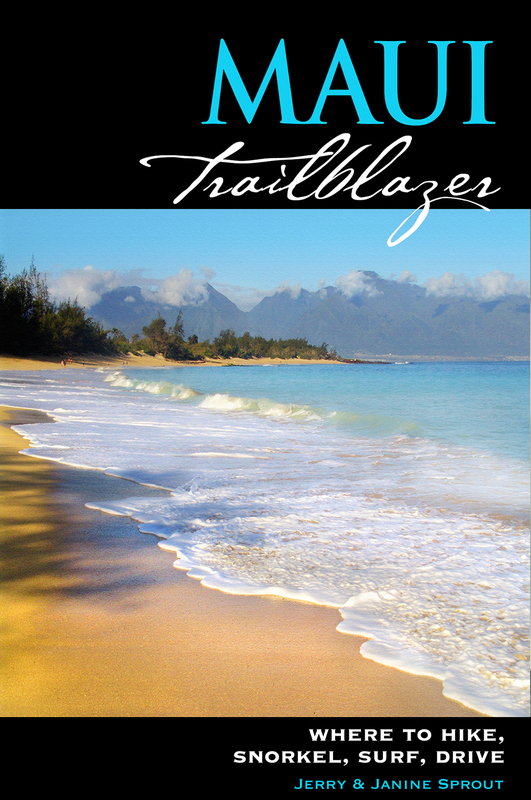 Maui Trailblazer has the details on the town's attractions, plus the beaches, hikes, and sights nearby.